. 1976 ~ ABBA knocked Queen from the UK No.1 position on the UK singles chart with ‘Mamma Mia.’ Queen’s single ‘Bohemian Rhapsody’ had enjoyed a nine-week run at the top of the charts, by coincidence, Queen’s single contains the famous “mamma mia, mamma mia, mamma mia let me go” line.
. 1985 ~ John Fogerty, former leader of Creedence Clearwater Revival, returned to the A&M recording studios in Hollywood, CA to give his first ‘live’ performance in 14 years. Actually, Fogerty performed in a video called Rock and Roll Girls.
. 1987 ~ Madonna’s record, Open Your Heart, moved to the #2 spot on the pop charts (right behind At This Moment by Billy Vera and The Beaters). A week later, Open Your Heart became Madonna’s fifth #1 hit since 1983. She had 11 consecutive singles in the Top 10, the most for any female artist of the rock era.
. 2002 ~ Evelyn Scott, the city’s first female disc jockey who later played a tough-talking tavern keeper on the television soap opera “Peyton Place,” died at the age of 86. Born in Brockton, Mass., Scott moved to Los Angeles and landed a job as a disc jockey on radio station KMPC. She later was hired as a singing DJ on KHJ’s “Rise and Shine” morning show. She began acting in theater companies and eventually landed small roles in films such as “Wicked Woman,” “The Green-Eyed Blonde” and “I Want to Live.” She may be best remembered as saloon keeper Ada Jacks in the soap “Peyton Place,” which showed the extramarital affairs and other dark secrets of the residents of a small New England town. Scott played the role from 1965 to 1969, and then reprised the role on “Return to Peyton Place” from 1972 to 1974. She also came back for the 1985 television movie “Peyton Place: The Next Generation.” Scott appeared in episodes of other TV shows including “Bonanza,” “Gunsmoke” and “Perry Mason.” After she retired from acting, she dedicated her time to helping the homeless and served as a board member of Portals House Inc., a center for mentally ill people.
. 2004 ~ Roberto Ocasio, a versatile musician and bandleader of Latin Jazz Project, died in a car accident. He was 49. Ocasio performed more than 250 times last year, mostly in Cleveland. He has shared stages with such other Latino musicians as Eddie Palmieri and Nestor Torres. His band played venues from street festivals to Cleveland’s Severance Hall. Ocasio played the piano and six other instruments. 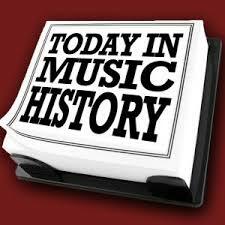 He earned a degree in composition and arranging from the Berklee College of Music in Boston. He formed Latin Jazz Project in 1997. Ocasio composed and arranged the band’s music, a repertoire ranging from original pieces to rock tunes and American standards with his own twist. He performed songs in Spanish and English.